Well done to Richard Piotrowski, who finished in Third Place in his Category in the British Masters, held at Alexander Stadium Perry Barr, Birmingham, last Sunday. Richard was unfortunately carrying a slight hamstring injury, but managed an excellent 20:43 in the 5000M, narrowly missing out on second place by just 4 seconds. 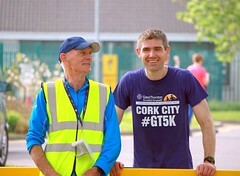 Well done to Mick Dooley who took part in this 5k in Portlaoise a couple of weeks ago. This race is an annual inter prisons event named in memory of a colleague of Micks. 27 club members took part in the 2nd race of the 2017 Ballycotton Summer Series in Shanagarry on Thursday. Special mention to Karen Bevan, Deirdre O’Callaghan, Frances O’Connor, John O’Callaghan, Tom Fox and Vivian Foley who all picked up category prizes. (It’s safe to say that if anyone is in need of a new pair of socks anytime soon please contact any of the above names – They should be able to help you out!!) In what was a very successful night for Tom, he also picked up a prize for finishing in 40th position. This prize was given by John Buckley Sports to the mark the 40th year of the running of the Shanagarry race. 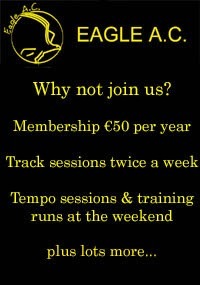 Midleton AC 44, Ballintotis Fit4Life AC 38, Eagle AC 27, St.Finbarr’s AC 21, Watergrasshilll AC 19, Ballymore Cobh AC 18, Aghada RC 15, East Cork AC 14, Youghal AC 13, Grange-Fermoy AC 13, St.Nicholas AC 12. Over 600 people completed this 5k in Macroom on Thursday evening. Clubs weren’t listed but a few familiar names were spotted in the results. Many thanks to those who sent in their results from this race. 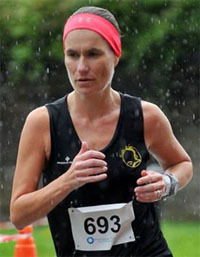 Sandra Manning finished 5th female overall and 2nd F35. Well done to all Eagle members who took part. 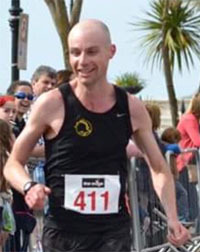 Special mention to Declan Daly, back from injury – Great to see Declan back racing again! 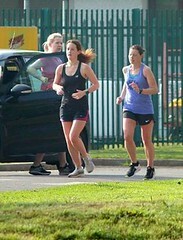 About 350 people took part in the latest of the BHAA summer races. 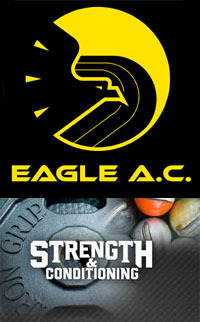 The Eagle members below were in the category prize positions. 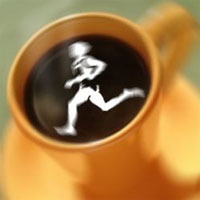 Congratulations to all who ran – there were even 1 or 2 pb’s recorded by all accounts, many thanks to the club members who sent on results, having a great race on the night! 27 John Dunphy 0/45B 00:18:42 – season’s best ! 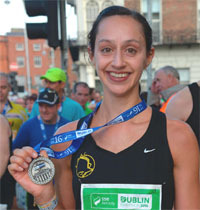 84 Mairead Ryan 0/35H 00:20:44 – PB! 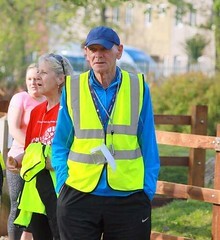 Well done to Derek Costello who was second home at the Sligo parkrun on Saturday. Great to see Derek back racing again! 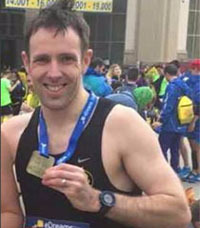 The Waterford Viking marathon took place last weekend. 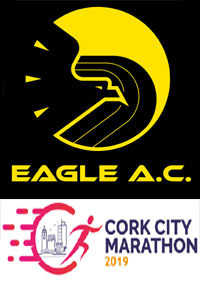 No Eagles went in the Marathon or Half, but well done to Noella who competed in the unusual ¼ marathon event. Club names were not listed for this race so apologies if I’ve missed out on anyone. Send me an email if so and i’ll include it in next week’s email. The club had 3 members in this year’s Coolagown 5k road race near Fermoy. 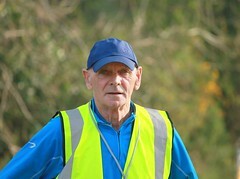 Well done to Ken Higgs who finished first in the M65 category. 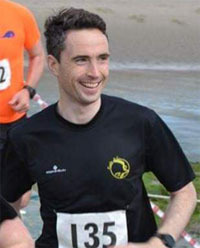 Well done to Ken Nyhan who took part in the Kilmurry 5K event , doing very well in a field of 347 runners. Well done to club member Adelle O’Connor who won the Inniscarra 4 mile road race on Friday the 16th of June 2017. 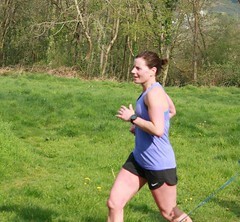 Adelle posted a time of 29:34 on the tough Ballyanley course that is known for some steep hills. In total, the club had 9 members present. Congratulations also to Donal Dowling (M40) and Pat O’Connor (M45) who won their categories and to Dermot Slyne (M40) ,Colin O’Herlihy (M45) and Denis Carroll (M55) who claimed 2nd spot in their categories. 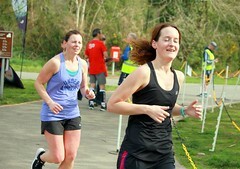 The sun was shining for this 5 miler in West Cork on Sunday. Well done to Ciaran Bouse who claimed second spot on the podium. 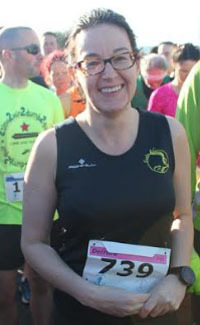 Well done to Elaine, the only Eagle member to take part in this 5k in Glanmire on Monday night in what were very warm conditions.